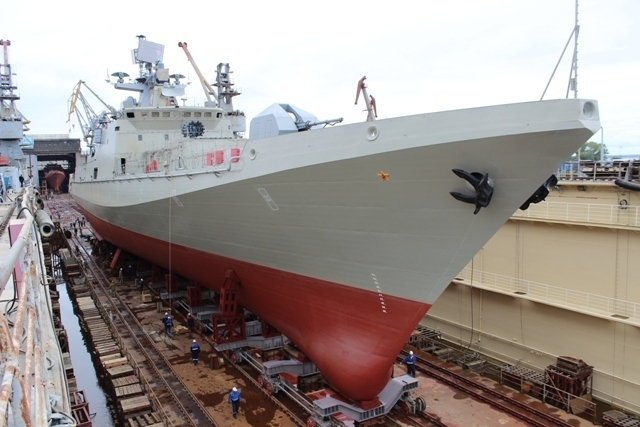 Baltic Shipbuilding Plant “Yantar” (United Shipbuilding Corporation, Kaliningrad) has launched the Admiral Makarov, third ship of Project 11356 being built for RF Navy, today, September 2, 2015, says the shipyard’s press center. The ship has been launched according to the schedule approved by the customer. The ceremony was attended by the representatives of RF Navy command, regional authorities and other officials.